Tip 1: Lake Erie algal bloom forecast: Last year’s Lake Erie algal bloom was the third-largest on record, according to scientists with the National Oceanic and Atmospheric Administration (NOAA) and Ohio Sea Grant, a program based at The Ohio State University. How are things looking for the summer ahead? 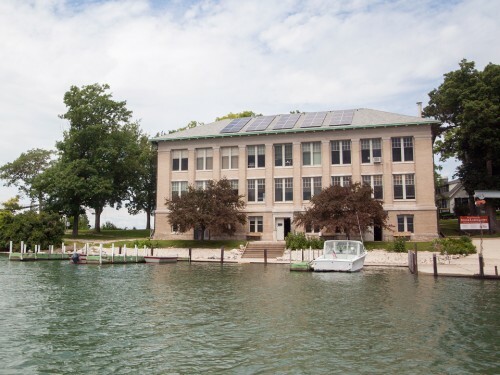 On July 12, Stone Lab, part of the College of Food, Agricultural, and Environmental Sciences (CFAES), will host a media briefing at which NOAA experts will announce their Lake Erie algal bloom forecast. Learn more at go.osu.edu/NOAAforecast. Register to attend at go.osu.edu/HABSatStoneLab. Register to participate by webinar at go.osu.edu/habs2018. Contact Ohio Sea Grant’s Jill Jentes, jentes.1@osu.edu, 614-937-0072, for more information. Tip 2: On fish, Lake Erie, teaching and women in science: A June 22 CFAES story featured Suzanne Gray, a scientist with the college who studies fish and how water quality changes (including harmful algal blooms) affect them. She’s a recent winner of one of Ohio State’s top awards for teaching. She’s currently teaching at CFAES’s Stone Lab, located at Put-in-Bay on Lake Erie. Gray would be happy to talk with you about Lake Erie’s water quality as it relates to fish (such as walleye), as well as her thoughts on experiential learning and on getting more women involved in science. The best way to reach her is by email: gray.1030@osu.edu. Tip 3: Meet Ohio’s urban pollinators: A June 27 New York Times story carried the headline “Bumblebees Thrive in the City but Struggle on the Farm.” Featuring a study done in England, it said bumblebees in London “may be faring better than their relatives in the English countryside.” CFAES entomologist Mary Gardiner studies urban pollinators, too, along with other beneficial arthropods, and can talk about Ohio’s. Their variety might be surprising. Which ones live in cities? How are they doing and why? Why are they good to have around? Some of her research on pollinators has been done in the Cleveland area. She’s the author of the 2015 book Good Garden Bugs. She’s at gardiner.29@osu.edu, 330-601-6628.